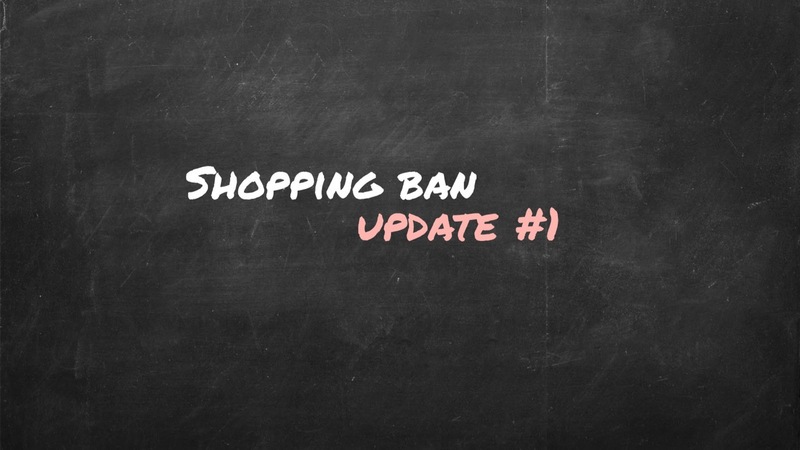 it’s time for my first shopping ban update! In case you don’t know what I’m talking about: You can read everything about my experiment here. I’m now four weeks in and I’m past the black friday weekend. I will divide these update posts into three categories. What did I buy, where did I struggle and my conclusion for the past month. My shopping ban includes clothing, shoes, accessories an bags but I try to buy nothing at all for myself. In this section I will share the few things that I bought anyway because I guess there will be some every month, no matter how hard I try. I’m allowed to buy something new if it replaces something that’s used up or full. This was the case with my bullet journal and my sketch book this month so I bought them new. And I had one week moment when I discovered this beautiful book in a second hand book shop. You can’t regulary buy it in Germany so I allowed myself to take it witch me. 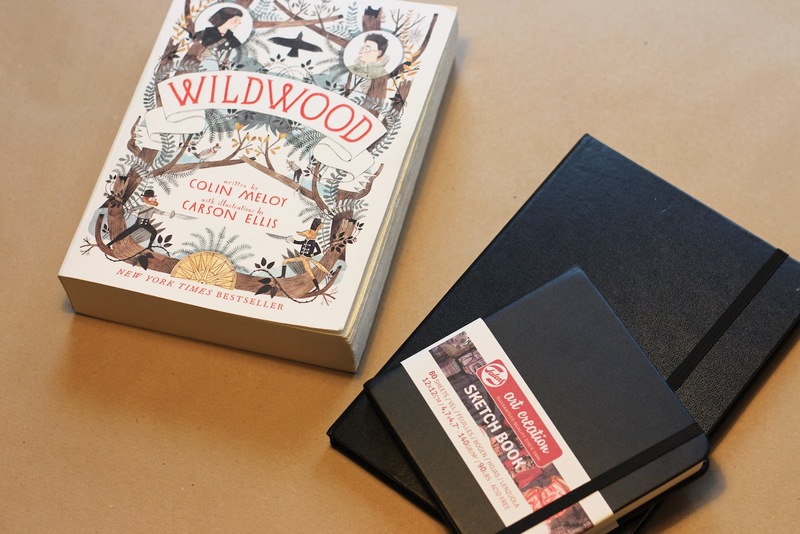 Books are hard. I will post a picture of what I bought every month. Of course I buy Christmas presents. But they don’t count because they are not for me. A good friend of mine visited me in Hamburg and we had a stroll around all the little shops. I don’t usually do this anymore and it was hard to resist all the beautiful fair produced interior stuff. And of course I got all the newsletters around Black Friday and it was tempting sometimes. But I’m happy that I made it through the day without buying anything. When you’re looking for Christmas presents you’ll always find things you like. But it feels really good to say no and to know that all the money that you spend this month isn’t for something you might regret or not really need. All in all I found it easier than I thought. It’s really easier to say no to everything than to allow yourself to pick one piece a month or something like that. But I might switch to that after the three months anyway ;) I’m happy with the experiment so far and excited to see where it goes. What do you thing about the shopping ban? Did you try something similar? Or are you thinking about it? Let me know in the comments! ich muss grad echt stark überlegen, wann ich mir zum letzten mal kleidung gekauft habe. ich kaufe eigentlich schon seit geraumer zeit wirklich nur noch wenig und sehr überlegt ein. angefangen hat das im frühjahr, als ich für meine island-reise sparen wollte. ich habe mir allerdings dafür kein kaufverbot auferlegt und wenn ich mal etwas möchte oder brauche, dann kaufe ich es auch. aber ich überlege eben, vorallem bei kleidung oder größeren anschaffungen, doch mittlerweile lieber 3 mal, bevor ich etwas wirklich kaufe. ich schaue auch lieber auf qualität und ob mir das teil eine weile gut erhalten bleiben wird, als schnell mal 10 tshirts für 2€ bei primark zu kaufen. meine liebste regel ist noch immer: wenn ich zunächst unsicher bin, dann kaufe ich etwas nicht. dann verlasse ich den laden lieber mit leeren händen und denke nochmal drüber nach. und wenn ich auch noch stunden oder tage später nicht aufhören kann, darüber nachzudenken, dann kaufe ich das teil. denn dann weiß ich, dass ich es wirklich brauche und benutzen und wertschätzen kann. und sehr hilft es mir auch, einfach auf ein größeres ziel hinzusparen, zum beispiel eine reise etc.